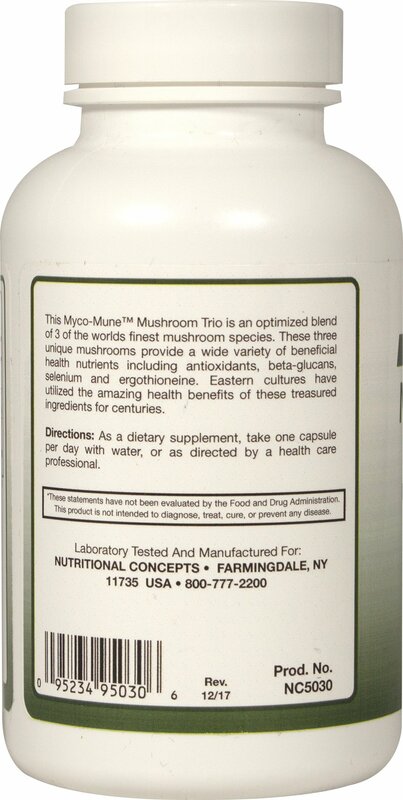 Myco-Mune™ Mushroom Trio–is an optimized blend of the worlds finest mushrooms. 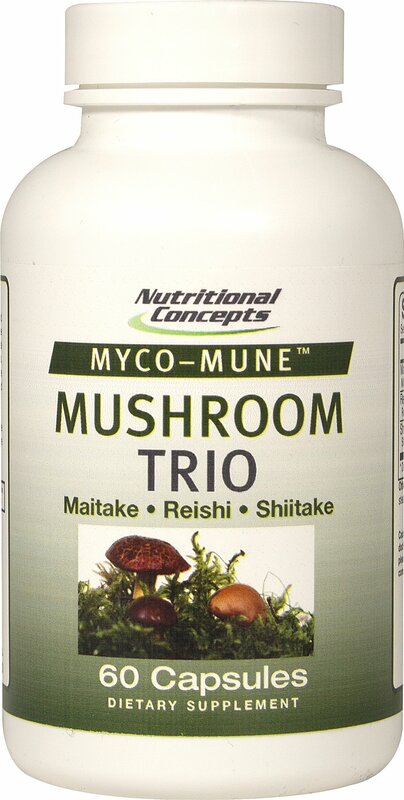 Mushrooms are a leading source of the essential antioxidant selenium and ergothioneine. Eastern cultures have revered mushrooms health benefits for centuries. Guaranteed free of: Sugar, starch, milk, lactose, gluten, wheat, yeast, fish, sodium and preservatives. Artificial flavor or sweetener.